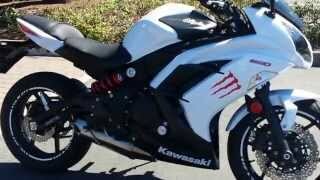 Just picked up my new 2013 Kawasaki Ninja 650. Got a great deal on this remaining 2013 model. I would have bought the 2014 model but I didn't like the color options. Ride safe guys and ATGATT. I own one. I hate the way it sounds. A muffler upgrade is a MUST. dang skinny asian girls. So hot. 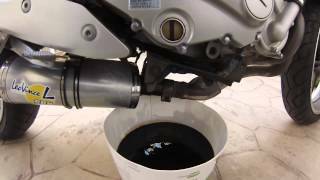 dang, just don't drive the same RPM continuously, change the oil before it's due the first time, ease into the brakes to avoid glazing them, take your time getting used to the new bike, etc. Is this basically an ER6-F? 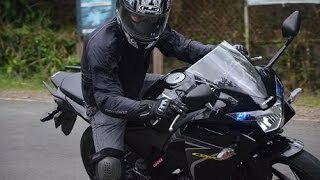 I am sure in the states it is called the Ninja 650, while here in Britain it is called the er6-f. Its naked brother is the er6-n.
Great video! Have a few questions. I'm 6'3'' and 210, would this be preferable as a first time bike to the 300? Do you still have this bike? How many miles, any problems? +TX Camper this is almost the same question by the previous guy below Goldie Mack. he is 6'6 275 lbs and you're 6'3 210 lbs, you might be more suitable for the bike, 3 inch shorter and 65 lbs lighter. same concept, bring a friend to a dealer and sit on the bike on a riding position and have him take several pictures of you at different angles. then review the pictures and see how it looks. i see some tall and big guys riding these bikes and they look like they're on a moped. doesn't look good. just my opinion. I still have the bike, and loving it, put in 24K miles and no issues whatsoever. good luck. Great video! looking to get my first bike I'm 6'6 275 pounds what should I be looking for? +Goldie Mack thanks man. 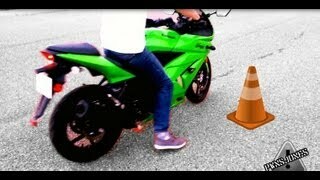 the ninja 650 might look too small for you at 6'6 275 pounds. best thing to do is go to the dealer and sit on one and have someone take a picture of you sitting on the bike on riding position and see how it looks. good luck. Not much if any variations from my 2014. Best money I ever spent! battery drain? they don't use sealed battery? The correct break in procedure is what is in the manual, written by engineers who designed the bike, not some salesman. + John Nasr I agree with you. I did my research and followed a hard break in that i found online. I have 26K miles on my bike now and no issues whatsoever. okleydokley wrong at the factory have you seen the vigorous testing the bikes go through before being shipped. They are literally redlined through every gear so your telling me you gotta treat it like a baby when you get on it? You know what to do, they are almost free used. Especially in the late fall. Same engine in my Versys. Purely AWESOME, Not too much, damn sure not too little. Sounds awesome and is way faster than i can ride her. Nice bike. 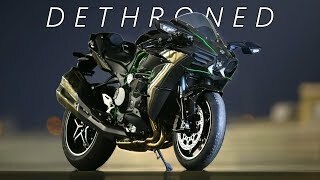 confused ER6n or ZX6r for my first bike ? 2 cylinders / 4 cylinders ? 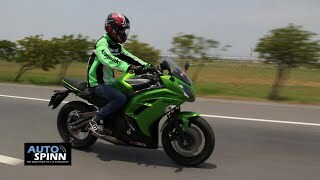 +Aliiv Hermawan i don't recommend ZX6r as a first bike for various reasons. 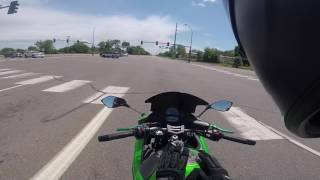 (1) ZX6r is a much faster bike than the ER6/650R. you need to hone or practice your skills on a much tamer bike so you don't kill yourself. 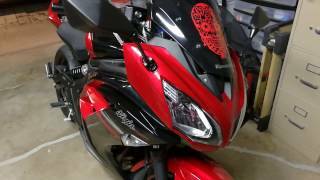 (2) ZX6r is more expensive, so if you drop it or crash it, its more out of pocket for you. 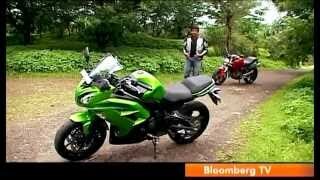 (3) ZX6r is considered a super sport bike, so it's more expensive to insure. I don't where you live, but here in California, i pay $35/mo full coverage for my 20123 Ninja 650. Good luck to you. Almost everything he said was incorrect. 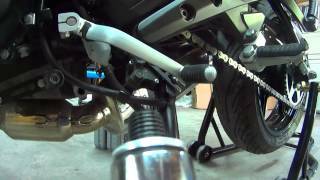 Google "break in secrets motocompo" . The dealer in this video giving honest opinions has nothing but truth the share! I agree with everything he says about the bike. cool video. Make more please. Hook me up with a Filipina! 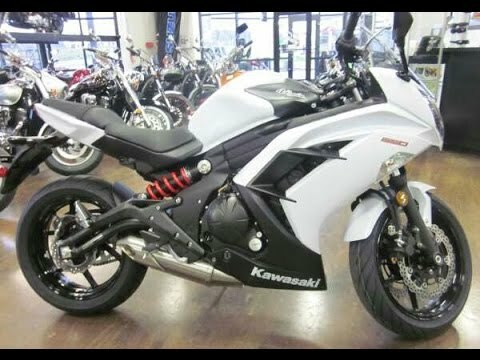 this or a 300 for my first bike ever? It does? I'm surprised because here it Sweden the ninja costs about $600 more. 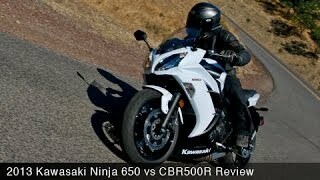 *edit* Actually can't find the Z300 on the US Kawasaki page. Guess it's not offered there. +DailYxDosE Unless you're dead set on a super sport, take a look at the Z300. 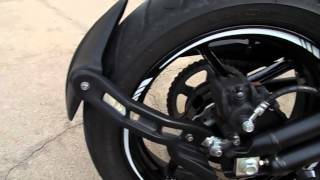 Is it true for ninja 300 that if stopped and you let go of the clutch it will go into neutral every time? Saving you finding it at a set of lights ect. Okay thanks mate. Thats Interesting. 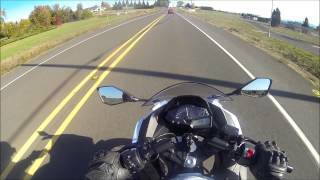 thats hella true what that guy said this bike handles amazing and shits on my 250 i had in every single way possible!! I wish I had the auto neutral thing. 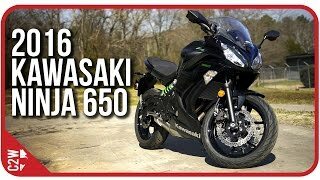 if you were upgrading from a 250 why not just go all the way up to the kawasazki ninja 1000? Won't you get tired of the 650 soon anyway and trade that in for the most power you can get? how much is this bike and what is the insurance price? My first year with the bike (got it when I was 19), was about $80 a month for insurance. After that it dropped to the low 40s for the following few years. +alex huang 25 years old with full coverage and I pay about $25 bucks a month for insurance. 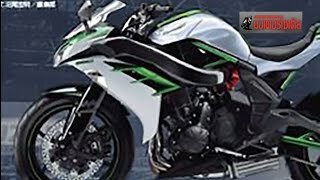 NEW MOTORCYCLE 2017 Kawasaki Ninja 650 + First Ride! 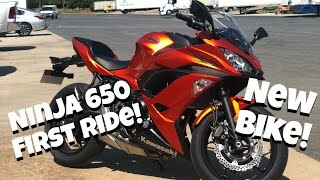 Must watch If thinking about buying a Ninja 650! 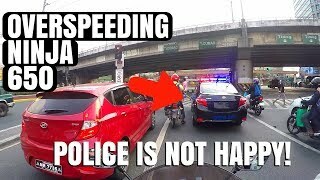 OVERSPEEDING IN EDSA | NINJA 650 VLOG | NO TRAFFIC? ?